Having a laptop with a long battery life that is lightweight is a priority for plenty of people. If you are someone who goes a long time without charging your laptop or you don’t take your charger with you to work, college etc. then having a longer than average laptop battery life is of crucial importance. Here we’ve looked at the top 5 best extended battery life laptops for under $1000 and ranked them in order of battery life. If you are interested in reading about laptop batteries, there is a fantastic article here. The Lenovo Thinkpad X260 might just have the longest battery life in any laptop ever produced. The X260 features Lenovo’s Power Bridge Technology that allows you to hot swap a battery without shutting the laptop down, providing flexibility and maximum battery life. Lenovo claims that you can get over 25 hours of continuous battery by hot swapping the internal 3-cell battery with an external 6-cell (72Wh battery). It’s bold to claim that your laptop can get a whole day’s battery life, but testing done without using Power Bridge Technology, relying on the internal front and rear 3-cell batteries net an impressive lifespan of 17 Hours and 14 Minutes. Testing was done doing continuous web surfing with a brightness of 100 nits. We have no doubts that adding in the external battery will get you to that 25 hours claimed lifespan. Obviously, if you’re doing gaming or using intensive applications such as Adobe Premiere you won’t get the tested time, but for those in back-to-back meetings mainly dealing with spreadsheets and internet browsing, you will be fine. The Thinkpad X260 is tested to military specifications using 11 different parameters and validates the ruggedness, durability, and quality of the laptop. Despite this, it still manages to weigh only 5.1 lbs meaning it’s light enough to carry around all day with you. The Lenovo Thinkpad T460 was very, very, narrowly pipped at the post by the X260, it’s battery life finishing just 10 minutes short. In terms of ultraportable laptops with good battery life, this is one of the best. Lenovo claims an 18-hour battery life which isn’t far off the 17 Hours and 4 Minutes that the T460 got in the testing results. This incredible feat was achieved with Lenovo’s Power Bridge Technology allowing you to get far greater battery life than the average battery life with the hot swappable external battery. 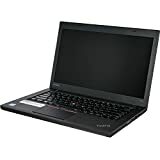 The Thinkpad T460 is also the complete package, boasting an i5 Processor and 16GB of RAM combined with a 240GB SSD for speedy boot times. Weighing in at a mere 3.8 lbs and only .83” thick, the T460 is an easy-to-transport laptop and is a breeze to cart around all day if you need to. The Acer Aspire One Cloudbook was a surprise packet inclusion into the list. Being a budget laptop, it’s very impressive that the Aspire One Cloudbook was able to get a battery life of 14 Hours and 43 Minutes. This result is actually longer than the 12-hour battery life stated by Acer which left us mildly surprised. In true fashion, the Cloudbook is as light as a cloud, weighing only 3.5 lbs. This makes the laptop very easy to walk around with and take between meetings, classes or on flights if necessary. The Aspire One Cloudbook is by far the best performing budget laptop in terms of battery life and comes with Windows 10 installed, instead of Chrome OS like most budget laptops. The Apple Macbook Air 13” is quoted to have a 12 hour battery life. Testing done indicated that the Air actually reached an impressive 14 hours! The MacBook Air has Apple’s user-friendly OSX Yosemite pre-installed on its 128GB SSD storage, which makes the laptop very responsive and quick to boot. One of the thinnest laptops on the market, the Air is just 0.68 inches thick and weighs a lowly 3 lbs! This makes it suitable for those looking for a laptop with long battery life and a lightweight shell. The Macbook Air has a 5th generation Intel i5 Processor and 4GB of RAM. Onboard Intel HD Graphics 6000 take care of the graphics to display on the 13.3” 1440×900 screen. For those looking for an ultraportable, thin laptop with excellent battery life and an easy-to-use operating system then the Apple MacBook Air 13” is a great choice. The Dell Chromebook 13 7310 is the last choice on our top 5 best extended battery life laptops list. It contains a 6 cell battery advertising 12 hours per charge but during testing managed 13 Hours and 25 Minutes. The Chromebook 13 7310 is an interesting budget laptop. It’s lacking in the hard drive department, only having a tiny 16GB speedy SSD. With the SSD and Chrome OS, you can expect boot times of less than 6 seconds from power button to login screen. Where is shines is the Full HD IPS screen, providing wonderful vibrant colors and viewing angles. The engine of the laptop is the Intel Celeron 3215U Dual-Core Processor and 4GB of RAM. The Chromebook 7310 budget laptop is the lightest laptop on our list, somehow being even lighter than the Macbook Air at just 2.4 lbs! This is easily the most portable laptop on the list and is very easily transported around. If weight is a considerable factor in your decision when buying a laptop with extended battery life, then you should heavily consider the Chromebook 13 7310. Having a laptop with a long battery life is a priority for lots of people. Thats why we've ranked the top 5 best extended battery life laptops under $1000, in order of battery life. Marcus is the founder of techspectacle.com. He loves travelling and recently went on a 3 month backpacking trip throughout Europe. Marcus enjoys writing about all things IT related and holds a Bachelor of IT degree. Tech Spectacle Copyright © 2019. Please note: Techspectacle.com is a participant in the Amazon Services LLC Associates Program, an affiliate advertising program designed to provide a means for sites to earn advertising fees by advertising and linking to Amazon.com.